All you need to know about the gun laws of Rhode Island in an easy-to-understand guide! Like most of the states in New England, Rhode Island has quite a few restrictions regarding gun ownership. But you’re in luck! 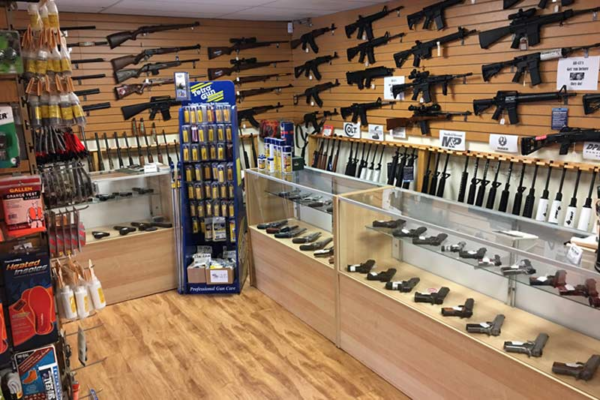 We’ll go over everything you need to know on buying a gun and being a responsible gun owner so you can take those firearms home and defend your freedoms in no time! Buying a handgun in Rhode Island requires jumping through a couple of hoops, including general requirements, as well as a state-issued handgun safety card (commonly called the Blue Card), or a Hunter Education Course card. Complete a Purchase of a Pistol or Revolver Application Form. Pass the DEM handgun safety test. Of course, if you are learning to use a handgun anyway, you might as well take a course on it. For those of you who don’t feel you want to take the course yet, you can actually take the DEM test at your local gun store, or at the DEM headquarters if you’re up for a road trip. The Hunter Education Course card is given after you take (surprise!) a hunter’s education course. The course can be taken online, or if you want to learn with other people, they are usually held at shooting clubs or community centers. If you ask around at your local gun store, they may be able to point you towards places that offer the Hunter Education courses. The courses have no minimum age requirement, so you can take them whenever you want! The only catch is that you must be at least 12 if you want to be able to hunt, even if you get your Hunter Education Course card earlier than that. If you are between 12 and 14, you can get a junior hunting license, but you have to be accompanied by a licensed hunter who is 21 or older. If you are 15 or older, you can get your own hunting license and go hunting without supervision. The actual course itself requires at least 10 hours of classroom participation, and covers hunter responsibility, principles of wildlife management, firearms, wildlife laws and identification, game care, specialty hunting, outdoor emergencies and survival, water safety, and hypothermia. Basically, it covers all you should know when going hunting! Hunting makes for great family bonding time. What about actually buying the gun? With all this talk about getting permits to buy a handgun, don’t forget about actually buying the gun itself! With your handgun safety card or Hunter Education Course card, you can go to your local gun store and pick out the handgun that you want! You’re still not done though. Once you’ve picked out that new Glock you’ve had your eye on, you’ll need to fill out a Purchase of a Pistol or Revolver Application Form. This is basically a background check form that is sent to the Attorney General, along with the state superintendent or local chief of police, so they can make sure you are allowed to buy a handgun. Once you submit the application, you will have to wait at least seven days before you will be allowed to pick up the gun from the gun store. During those seven days while your gun sits in firearm jail, you can look at all the different gun safes and holsters you need to buy, or just count the hours and minutes until you can take your new toy home. Whichever. After those seven days, pick up your gun and go home! You’ve made it through the obstacle course and finally have a new handgun! In many states, you can avoid going through a background check if you buy your firearms from a private individual, rather than your local gun store. In Rhode Island, however, no matter whether you are buying your handgun from the gun store or some guy on Craigslist, you will need to submit the application form and wait the seven days, so you might as well buy it new. Good news! Any antique firearm that is unsuitable for use or is maintained for educational or scientific purposes are exempt from all the rules above! Though if it is unsuitable for use, it’s really just an expensive paperweight. I’d personally just get another handgun. After the whole process for buying a handgun, you might be discouraged from even trying to buy a long gun. Luckily, buying a long gun is actually easier than the process for getting a handgun. Complete a Purchase of a Shotgun or Rifle Application Form. Yes, there’s another application form! But on the bright side, there is no safety card that is required to buy a long gun. It’s the little things. Just like with a handgun, after you complete the Purchase of a Shotgun or Rifle Application Form, you will need to wait at least 7 days before the seller can give you the long gun. The same rules apply to both private sellers and licensed firearms dealers. You’ll want to keep in mind that the whole point of the application forms for both handguns and long guns is so the police can conduct a background check on you to make sure you are allowed to own a firearm. There are certain situations would automatically disqualify you from owning a firearm. Have been adjudicated or are under treatment or confinement as a drug addict or a habitual drunkard, unless you have an affidavit from a competent medical authority (i.e. doctor) showing you have been cured for at least 5 years and can be allowed to own firearms. Even though there is no age requirement to get a Hunter Education Course card, there are still some restrictions on anyone under 18 using a gun. 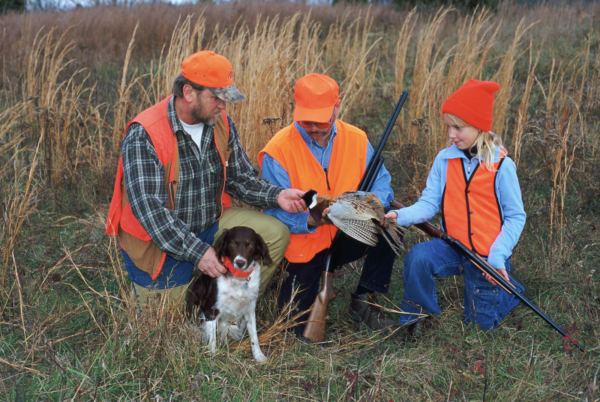 You can go hunting as young as 12, if you are supervised by someone 21 or older, but outside of hunting, if you are under 18, you can only use a firearm if you have a permit, and are at an approved range, being supervised by a qualified adult (i.e. someone who is allowed to use firearms). To get the permit, you need to apply to either the state police, or your local police chief, and provide evidence you completed a firearms training course. More importantly, you need to have the written consent of your parent or guardian. Be nice to them! Now that you’ve actually got your guns in hand, you’ll need to be careful where you take it. Open carry of handguns is only allowed with a License to Carry (LTC) issued by the Rhode Island Attorney General. Even if you get an LTC from your local sheriff’s office, you still cannot open carry. Only the Attorney General-issued LTC allows for open carry. Carrying an unloaded handgun that is securely wrapped, from where you bought it back to your home or office, or are moving it from your home or office to another place. For those of you interested in getting a Rhode Island LTC to actually be able to carry your handguns outside of these situations, be sure to check out our Rhode Island CCW section after you finish up here. We’ve got all the details on the application process, and go over the extra laws you’ll need to watch out for once you start carrying concealed! If you were paying attention, you’ll notice these laws are for handguns only. That’s because Rhode Island does not have any specific laws prohibiting open or concealed carry of long guns. Of course, concealed carry of a long gun isn’t really practical, unless you wear trenchcoats everywhere. Anyone who wants to carry a long gun either openly or concealed is perfectly allowed to do so, but you’ll want to keep in mind how practical it actually is, and what type of attention you may be getting from carrying your long gun everywhere. Unloaded and secured in a separate container (i.e. not just sitting on the passenger’s seat). Long guns do not have the same requirements, so just make sure they are secured in a rack somewhere. Don’t need your shiny new AR flying off the seat if you have to hit the brakes. Even with the purchase applications of handguns and long guns, Rhode Island decided it had to put some additional restrictions on firearms items to take away our fun. 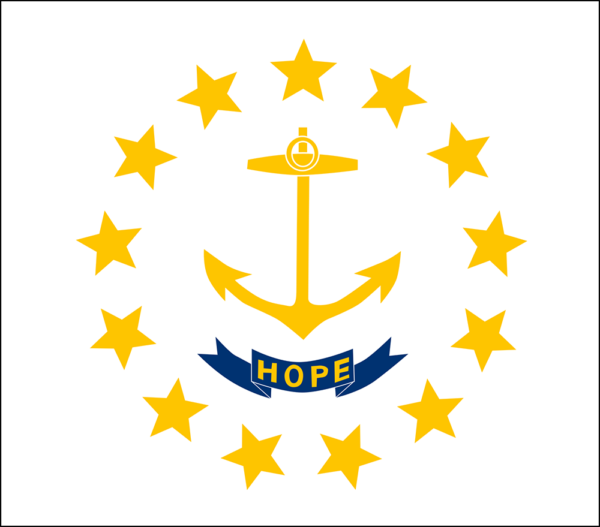 Steel core or any type of armor-piercing or metal-piercing pistol ammunition is prohibited in Rhode Island. Not exactly the type of ammo you need when hunting, but it’d be nice to test some out on the range just for fun anyway. For anyone interested in buying body armor, if you’ve been convicted of a violent felony, you’re out of luck. Everyone else, go check out our body armor reviews to see which one you need to get, and go buy it yesterday! All the time! But maybe only when you’re hunting or at the range. 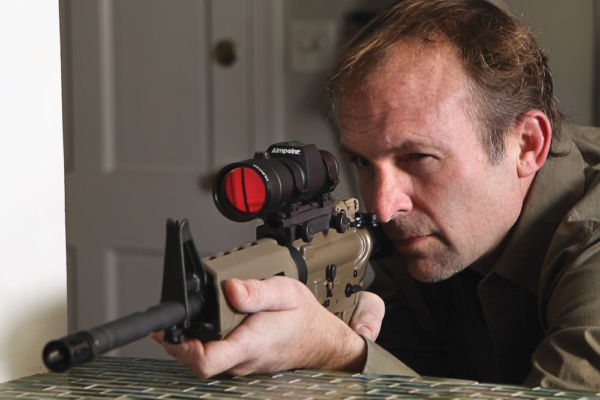 The practical side of gun ownership, of course, is to defend our freedoms and our way of life. Sometimes, that means defending yourself and your home against people who want to do you harm. Luckily, Rhode Island recognizes that there are bad guys in the world, and the police cannot be everywhere at once, so the state has adopted what is commonly known as the “Castle Doctrine”, which allows you to defend yourself while you’re at home, in your “castle”. Specifically, if you reasonably believe that someone that has committed or is committing a crime in your property and is about to inflict great bodily harm or death on you or someone else that is also legally allowed to be on your property, you can use deadly force to defend yourself or others. Of course, you may also need to defend yourself while you’re out on the town, and not just when you are sitting at home watching TV. Rhode Island also has a “Stand Your Ground” rule on the books for self-defense. 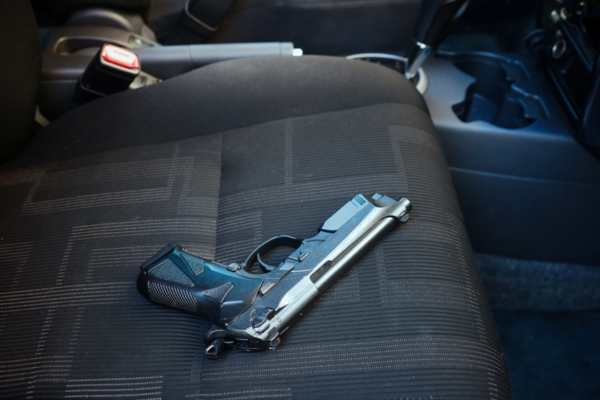 Essentially, the same situation that applies to the Castle Doctrine for using deadly force is used in the Stand Your Ground law. As long as you are somewhere you are legally allowed to be and reasonably believe someone is about to inflict great bodily harm or death on you or someone else, you do not have a duty to retreat, and can engage the threat with deadly force. Of course, just because you do not have a duty to retreat does not mean you must engage the threat with deadly force. Sometimes the situation may call for retreating for the safety of yourself and others around you. The use of deadly force is a serious decision to make, so you should always use your best judgement when deciding the best way to respond to a threat. Finally, after all the rules on how to buy and when to use a gun, you’ll also need to follow the laws on how to store your guns. Carry your firearms on you, or close enough to you that you can readily retrieve and use them. Basically, if your gun is not on you, it needs to have a locking device on it, or be locked away somewhere, preferably in a gun safe. If you do not follow these rules, and someone under 16 manages to get their hands on one of your guns and injuries themselves or someone else, you will be responsible and can be imprisoned for up to one year. Lock those things up! It shouldn’t be a big deal though, so don’t worry too much about it. 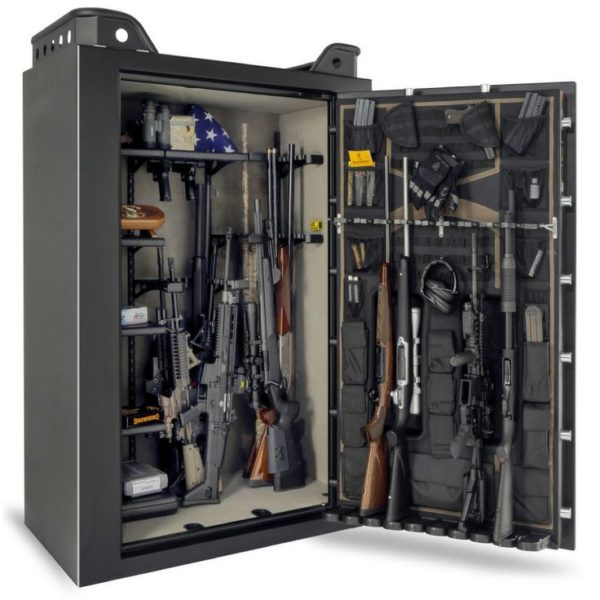 A sturdy gun safe or gun cabinet can do the job of meeting the requirements and also protect your guns from burglars at the same time. You’ll want to have a nice place for all your new toys to sleep after a day at the range. You can always find a way to fit one more. And with that, you’re ready to go out and pew pew! Don’t forget to check out our Rhode Island CCW section, for those of you interested in learning about getting an LTC for carrying handguns.